At 24 Seven, we have years of experience helping world-class creative brands find the perfect talent match, as well as helping creative freelancers and professionals find the perfect fit for a job. As a global talent and freelance recruitment agency, we're firsthand experts when it comes to the creative job market – and now, we're pleased to share our insights with you. 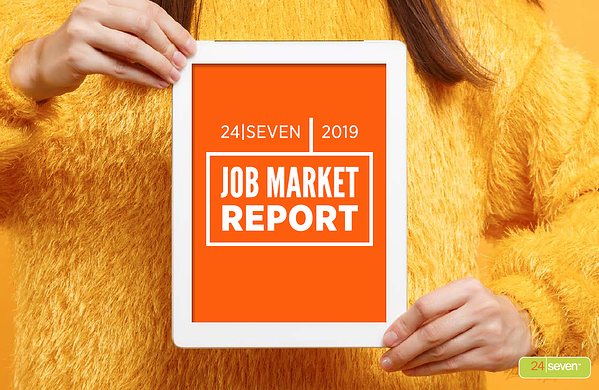 24 Seven's 2019 Job Market Report takes the pulse of today's workforce, helping both hiring managers and job seekers get the insights they need to find what they're looking for. The survey showcases compensation data as well as job market attitudes and behaviors of over 2000 professionals in the creatively-driven industries of Digital Marketing, Creative Services, Development & Tech, Ecommerce, Fashion, Retail and Beauty.